Simon Holloway has sent several photos from the lives of Wilfred and Evelyn Chapple of Walnut Tree Road, Brentford. 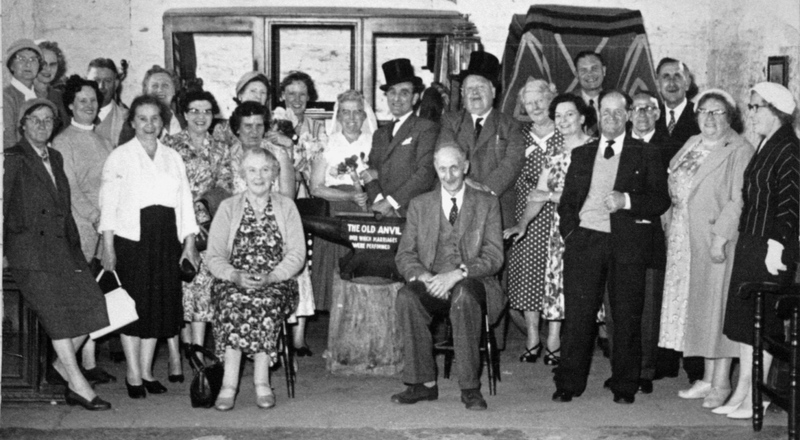 This photo was taken at Gretna Green, at the Blacksmith's Shop and shows a party from Brentford on a coach holiday. The group of 24 is posed around 'The old anvil over which marriages were performed' and two in the party are playing a bride and groom. EF Hardy is furthest right, Wilfred Chapple is fifth from the right.